Barrett Bowdre clerks for Judge Paul J. Kelly, Jr., U.S. Court of Appeals for the Tenth Circuit. He will next clerk for Chief Judge W. Keith Watkins, U.S. District Court for the Middle District of Alabama, and Chief Judge Ed Carnes, U.S. Court of Appeals for the Eleventh Circuit. 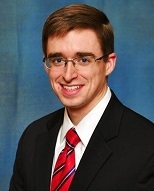 He previously served as a summer law clerk in the Office of the Alabama Solicitor General. Prior to law school, he was a Fellow at the John Jay Institute and worked as a research assistant for the Program on American Citizenship at the American Enterprise Institute. Mr. Bowdre holds a B.A. in political science from Furman University and a J.D. from the University of Alabama School Of Law. 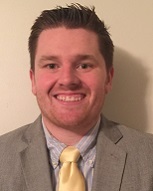 Chris Cooke is a litigation associate at Chadbourne & Parke LLP where he works on federal and state government investigations, civil litigation, and white collar criminal defense matters. Mr. Cooke will soon clerk for Justice Don R. Willett, Supreme Court of Texas, Austin. Previously, he was a law clerk for the U.S. Department of Justice, Civil Division, Appellate Section and in the office of U.S. Senator Rand Paul. He is also a member of the Federalist Society, where he serves on the Executive Committee for the Federalism and Separation of Powers Practice Group. Mr. Cooke holds a B.S. in civil engineering from Virginia Polytechnic Institute and State University and a J.D. from Georgetown University Law Center. 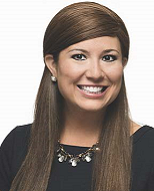 Catherine Eschbach clerks for Judge David Hittner, U.S. District Court for the Southern District of Texas. Ms. Eschbach will soon clerk for Judge Jennifer Walker Elrod, U.S. Court of Appeals for the Fifth Circuit. Previously, she was a summer associate at Brown, Neri, Smith & Khan LLP and was a full-time judicial extern for Judge Sandra S. Ikuta, U.S. Court of Appeals for the Ninth Circuit. While in law school, Ms. Eschbach briefed, argued, and obtained a reversal in a case before the Ninth Circuit. She holds a B.S. in Human and Organizational Development and Cultural Anthropology from Vanderbilt University and a J.D. from Pepperdine University School of Law. Joshua C. Fiveson is an officer in the United States Navy Judge Advocate General’s Corps. Mr. Fiveson is currently stationed at Naval Base San Diego, where he provides legal counsel to the various commands within Navy Region Southwest and he represents the U.S. Government at boards of inquiry, administrative separations, and pre-trial confinement hearings. Prior to this, Mr. Fiveson served as an attorney advisor to Judge Kevin Ohlson at the U.S. Court of Appeals for the Armed Forces, a judicial law clerk for Chief Justice Nathan Hecht of the Supreme Court of Texas, and a law clerk for the Counter-Terrorism Section of the U.S. Department of Justice’s National Security Division. Mr. Fiveson holds a B.S. in Criminology, Law, and Society from George Mason University and a J.D. from Harvard Law School. 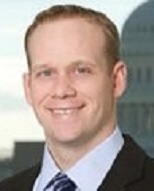 Andrew F. Gann, Jr. clerks for Judge Eugene E. Siler Jr., U.S. Court of Appeals for the Sixth Circuit. Previously, Mr. Gann clerked for Judge Norman K. Moon, U.S. District Court for the Western District of Virginia. He also was a summer associate at McGuireWoods LLP and Wood Rogers PLC. As a law student, he was on the editorial board for the Virginia Law Review. Mr. Gann also served as the articles editor for the Virginia Journal of Social Policy & the Law. 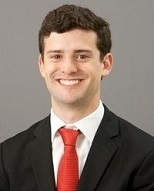 Prior to law school, he was a marketing and sales intern at Jackson River Enterprises in Covington, Virginia. Mr. Gann holds a B.A. in Political Science-Legal Studies from the Virginia Polytechnic Institute and State University and a J.D. from the University of Virginia. 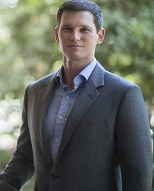 Jared Kelson clerks for Judge J. Harvie Wilkinson III, U.S. Court of Appeals for the Fourth Circuit. Mr. Kelson will soon clerk for Judge Thomas B. Griffith, U.S. Court of Appeals for the District of Columbia Circuit. He was previously a summer associate at Sullivan & Cromwell LLP and an intern to Judge David Sam, U.S. District Court for the District of Utah. As a law student, he was an articles editor for the Virginia Law Review. He holds a B.S. in biology from Brigham Young University and a J.D. from the University of Virginia School of Law. 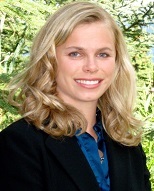 Kathryn Kimball is counsel to the Associate Attorney General at the Department of Justice. Previously, she was a trial attorney in the Southern Criminal Enforcement Section of the Tax Division. She has also been a special assistant U.S. Attorney in the U.S. Attorney’s Office, Eastern District of Virginia. Ms. Kimball will soon clerk for Associate Justice Clarence Thomas at the Supreme Court of the United States. She previously clerked for Judge William H. Pyor Jr., U.S. Court of Appeals for the Eleventh Circuit and Judge James S. Moody Jr., U.S. District Court for the Middle District of Florida. Ms. Kimball holds a B.A. in economics from Covenant College and a J.D. from the University of Florida, Levin College of Law. Jason Manion will soon clerk for Judge Alice M. Batchelder, U.S. Court of Appeals for the Sixth Circuit. During law school, Mr. Manion clerked in the Appeals Section of the Ohio Attorney General’s Office, was a summer associate for Sidley Austin, and was a legal intern at the Federal Trade Commission. He also served as a research assistant to Professors Charles Fried, Philip Hamburger, Guy Rub, and Chris Walker and was involved in the Harvard Journal of Law & Technology and the Harvard Journal of Law & Public Policy. Mr. Manion earned a B.S. in business administration from Thomas Edison State University and a J.D. from Harvard Law School. 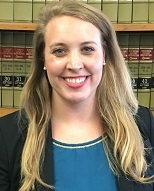 Katlyn Miller is assistant attorney general in the Solicitor General’s Office of West Virginia. Ms. Miller will soon clerk for Judge Alice M. Batchelder, U.S. Court of Appeals for the Sixth Circuit. Previously, she clerked for Judge James C. Mahan, U.S. District Court for the District of Nevada, was a summer associate at King & Spalding and Sonosky, Chambers, Sachse, Miller & Munson, and a Marshal’s Aide for the U.S. Supreme Court. Ms. Miller holds a B.A. in interdisciplinary studies from American University and a J.D. from Vanderbilt Law School. 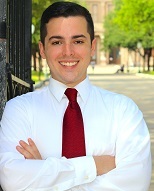 Kasdin Mitchell is a law clerk to Associate Justice Clarence Thomas, U.S. Supreme Court. Ms. Mitchell previously worked in private practice at Maynard Cooper & Gale PC in Birmingham, Alabama, clerked for Judge William H. Pryor Jr., U.S. Court of Appeals for the Eleventh Circuit, and served as the assistant solicitor general for the State of Alabama. 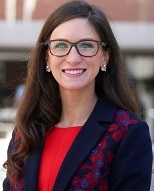 Prior to law school, Ms. Mitchell was the assistant press secretary to First Lady Laura Bush at the White House and a special assistant in the Office of Fossil Energy at the U.S. Department of Energy. Ms. Mitchell holds a B.A. in political science from Yale University and a J.D. from Yale Law School. 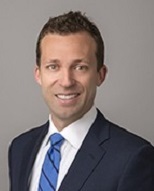 Chad Mizelle is counsel to the deputy attorney general at the U.S. Department of Justice. Previously, Mr. Mizelle was an associate at Gibson, Dunn & Crutcher LLP, where his practice focused on appellate and administrative law. Mr. Mizelle clerked for the Honorable David B. Sentelle on the Court of Appeals for the District of Columbia Circuit. He holds a B.A. in political science from the University of Florida, and a J.D. from Cornell Law School. Albert Pak clerks for Judge John M. Rogers, U.S. Court of Appeals for the Sixth Circuit and will soon be an associate with Kellogg, Hansen, Todd, Figel & Frederick PLLC. 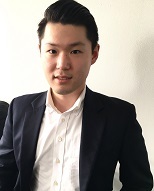 Mr. Pak was previously a summer associate at Gibson, Dunn & Crutcher LLP, a summer intern at the U.S. Attorney’s Office for the District of Columbia, and an extern at the U.S. Attorney's Office for the District of Connecticut. Mr. Pak holds a B.A. in philosophy and political science and an M.A. in philosophy from Stanford University, as well as a J.D. from Yale Law School. 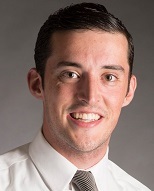 Nicholas Schilling will soon clerk for Judge Stephen J. Murphy, III of the Eastern District of Michigan. 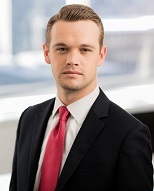 He was previously a summer associate at Latham & Watkins, LLP and a judicial intern for Judge Diarmuid F. O’Scannlain, U.S. Court of Appeals for the Ninth Circuit. As an undergraduate, Mr. Schilling was a political and economic affairs intern with the United States Embassy to the Holy See and an intern at the Holy See Mission to the United Nations in Geneva. Mr. Schilling holds a B.A. in political science from the University of Notre Dame and a J.D. from University of Notre Dame Law School.